If you’ve read my blog before, you’ll know that Shay & Blue, a boutique perfumery from London, is a fragrance I use often. Their scents are incredibly decadent and rich, one spray goes a long way. The ingredients used to make the perfumes are all of high quality and is a brand I recommend to anyone. My personal favourite is the English Cherry Blossom. 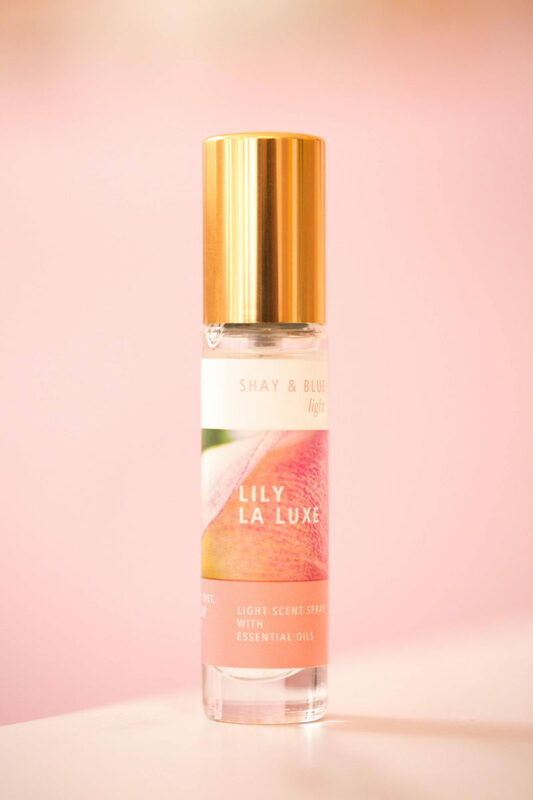 There’s a scent for everyone here, the one I chose is Lily La Luxe as I love floral, feminine scent. We all know how I feel about pink… The packaging is sleek and great for fitting in your handbag, I use tiny little bags and it fits in perfectly. 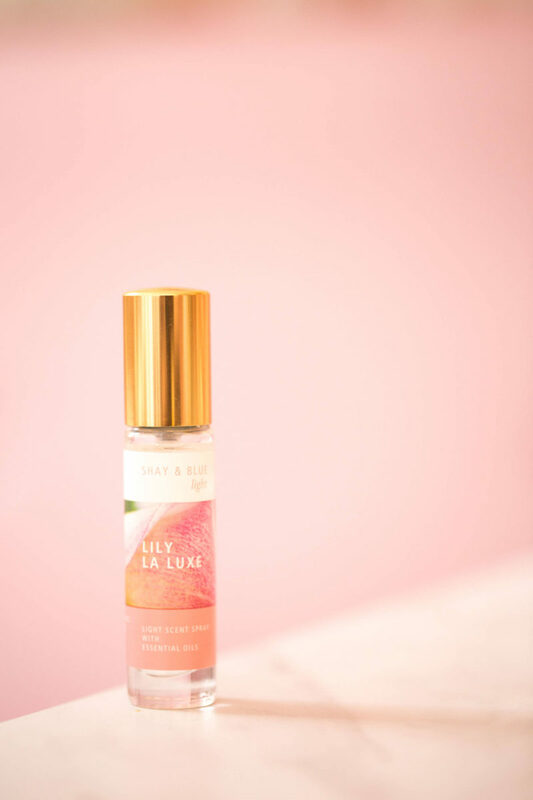 I thought it was pretty small at first, for a Light Spray but honestly, the scent packs a punch and it will last for a very long time. The scent is light but very noticeable and not overpowering. It will layer well with any perfume you are wearing, so is great for a mid-afternoon pick me up. I wear mine with my Shay & Blue English Cherry Blossom and they work so incredibly well together and create such a gorgeous, custom scent. I’ve had so many compliments each time I wear this scent, and when I tell people the price point, they can’t quite believe it. Shay & Blue take their perfumery very seriously, this is not just any ordinary body spray. Each scent is left to mature for over three months, each blend is hand-poured into a signature glass bottle by a team of talented artisans. They are made with real flowers, fruits and spices, expect fresh, natural scents that smell as good as they look. Each of the four scents is available exclusively at ASOS for £12.50 each.